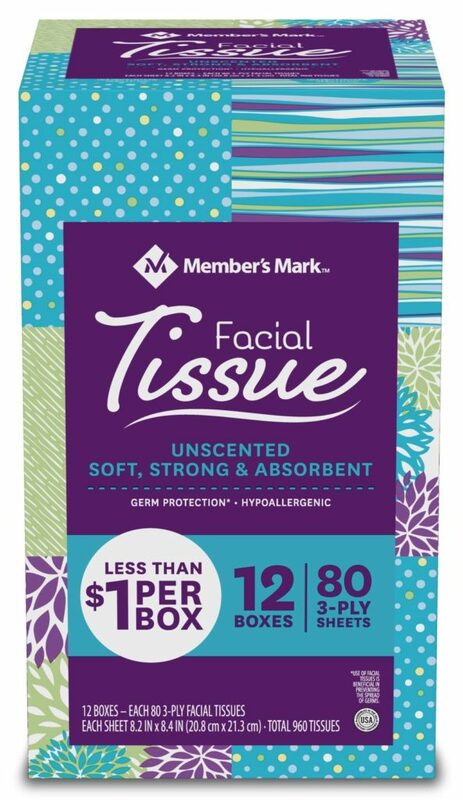 Thank you, Member’s Mark 3-Ply Facial Tissue, for sponsoring this post! As always, all opinions and thoughts are truly my own. 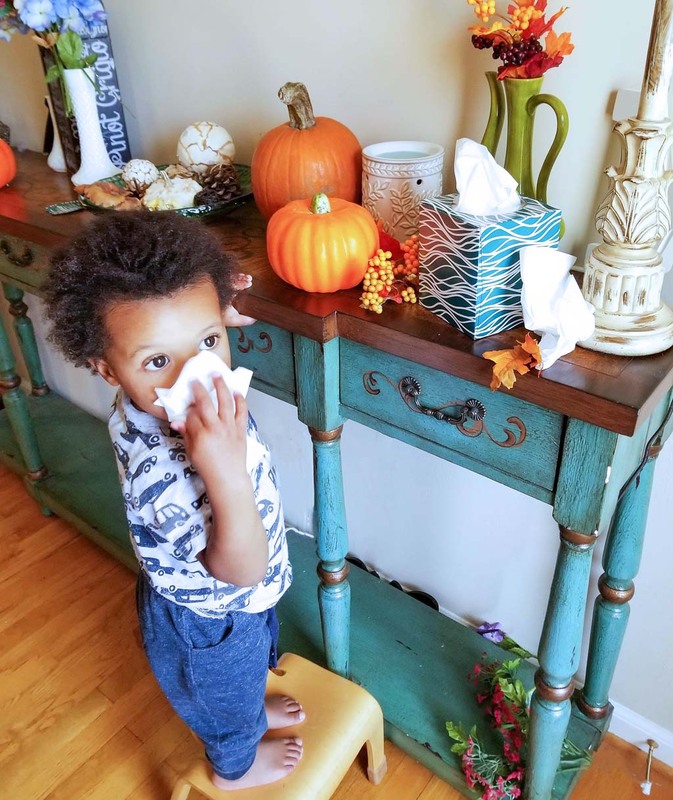 Constant runny noses, those annoying sniffles, and the never-ending sneezes…yep, it’s officially cold and flu season! Before I had kids, this wouldn’t mean that much to me. I would head over to my local grocery store and pick up a pack of cough drops and keep it moving! Lol! But since I have two very busy toddlers to care for, that routine has changed drastically! Lol! Instead of waiting until I hear the first sneeze or sniffle, I get an early start and head over to Sam’s Club and SamsClub.com to stock up on the essentials, which includes Member’s Mark 3-ply facial tissues! I love that this pack comes in bulk and contains 12 of the most uniquely designed boxes that will compliment any holiday décor! I couldn’t wait to share a sneak peek of the Spring/Summer box hitting the shelves of Sam’s Club soon! 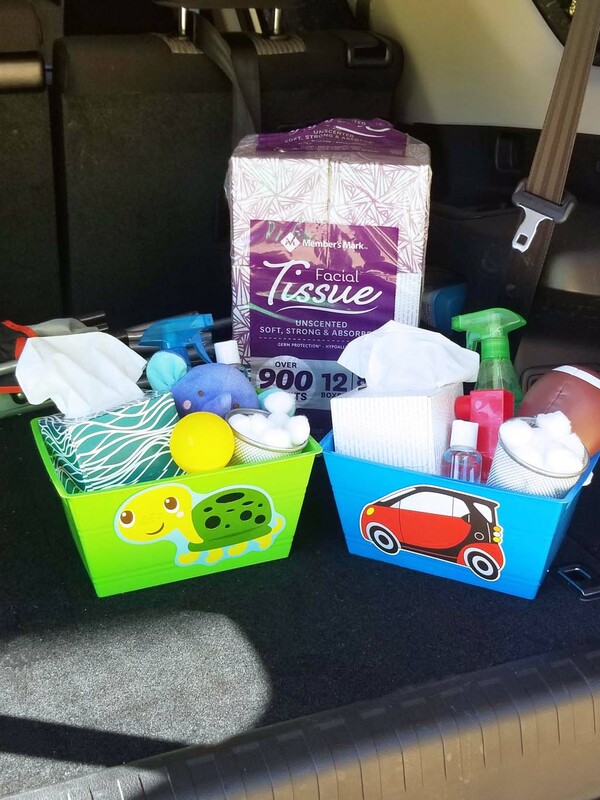 I put a box in almost every room AND I used them to put together these easy cold & flu caddies that I keep in my car! Whenever I shop at Sam’s Club, I like to use the Scan and Go app! This app is seriously my best friend! I can scan my items in the store, pay for them, show my receipt at the door, and head home! I no longer have to wait in a long line! I’m sure that all of my fellow toddler moms would appreciate this app too! Lol. 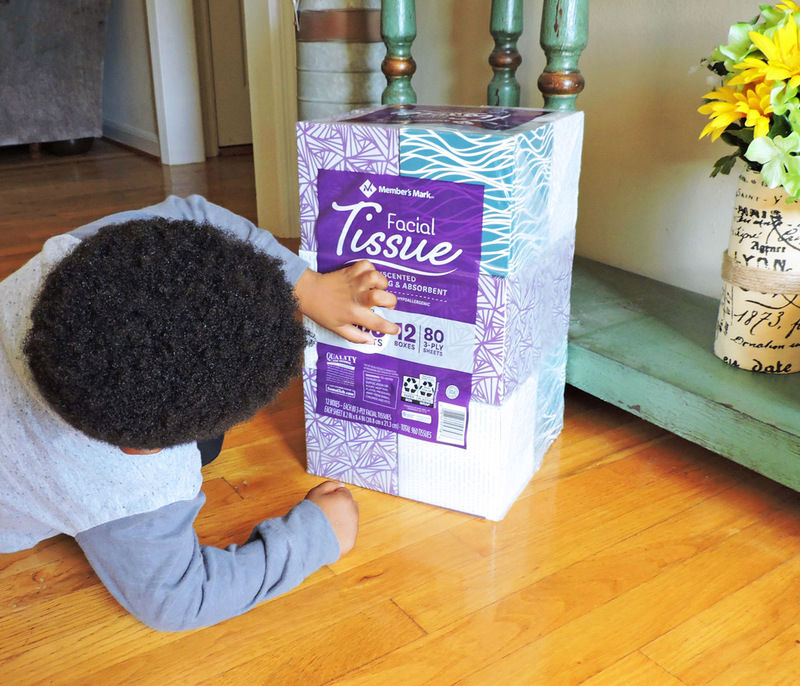 When choosing the right facial tissue, I am VERY particular! 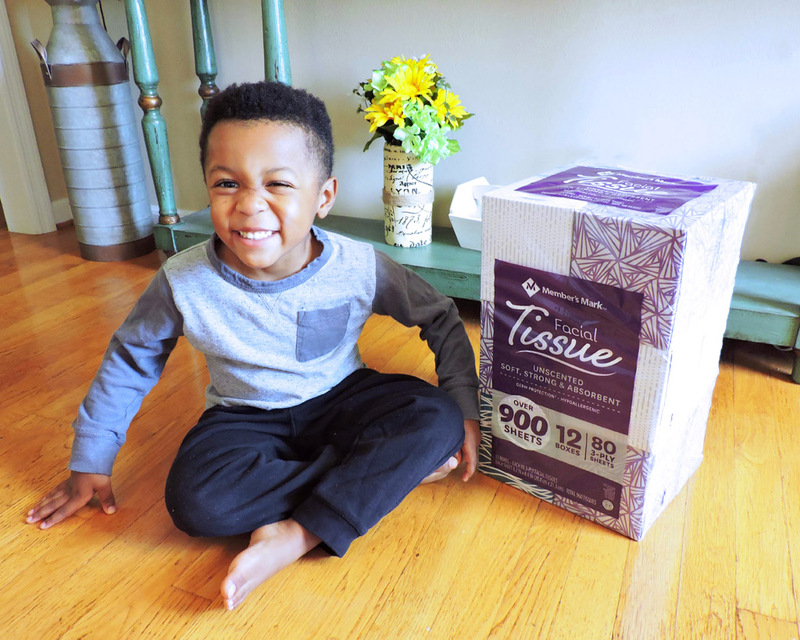 My kids have extremely sensitive skin and I like to make sure that I purchase facial tissues that are soft, but yet durable. 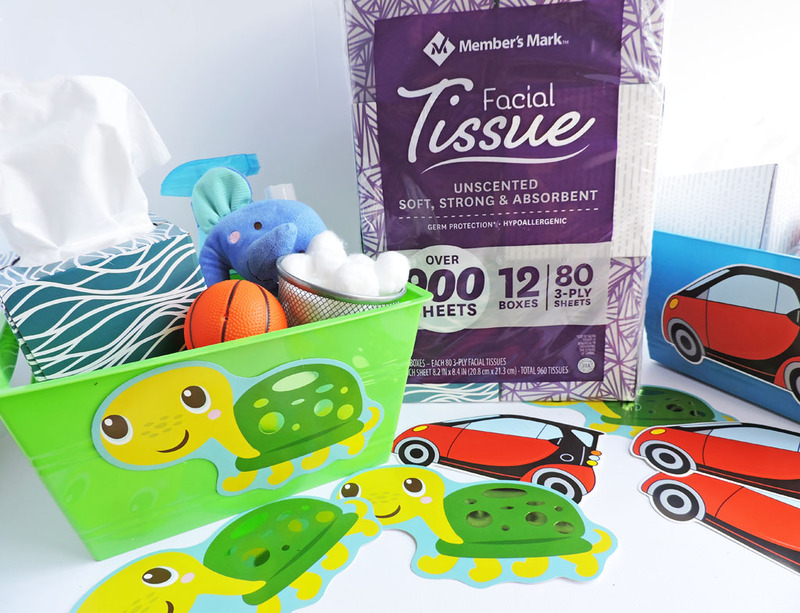 Member’s Mark Premium 12-pack of 3-ply Facial Tissue is plush, durable, gentle, thick & absorbent which makes it strong enough to handle my toddlers’ noses, but soft enough to handle their delicate skin! 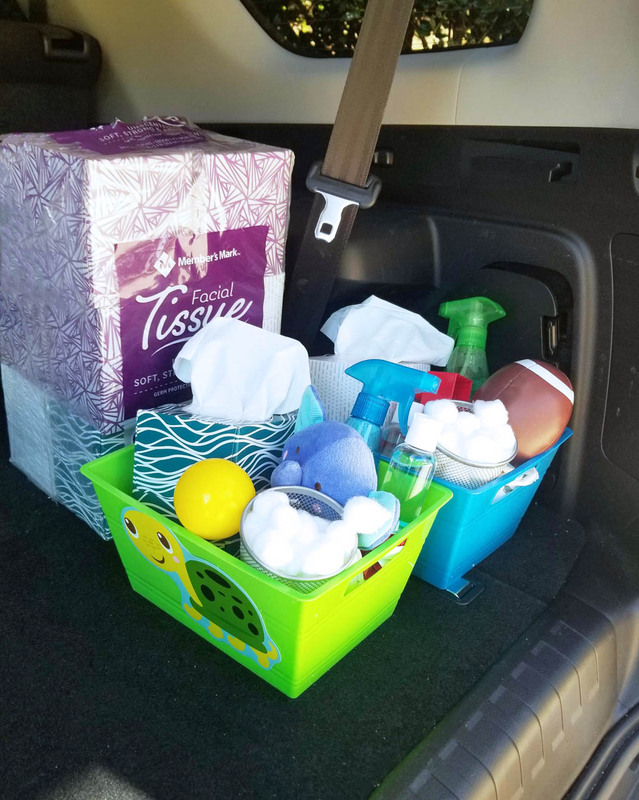 Because my family is on the go a lot, I like to take these tissues on the road to be prepared for whatever life may bring! 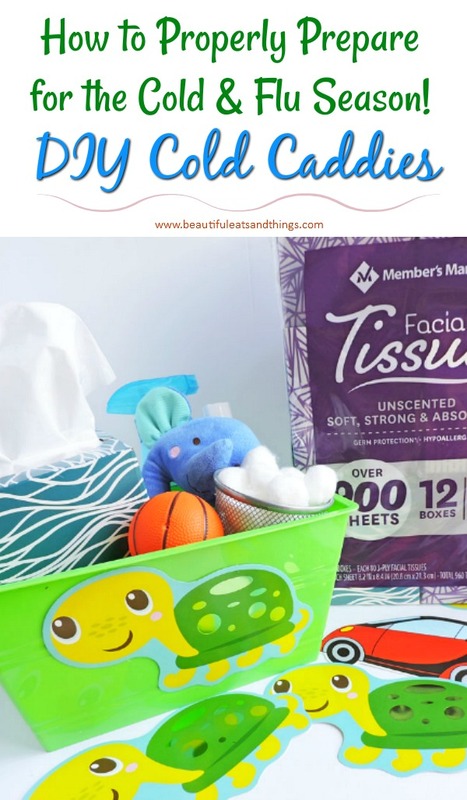 I decided to make these easy cold & flu caddies that included a few must-haves and a box of the Member’s Mark 3-ply facial tissues! 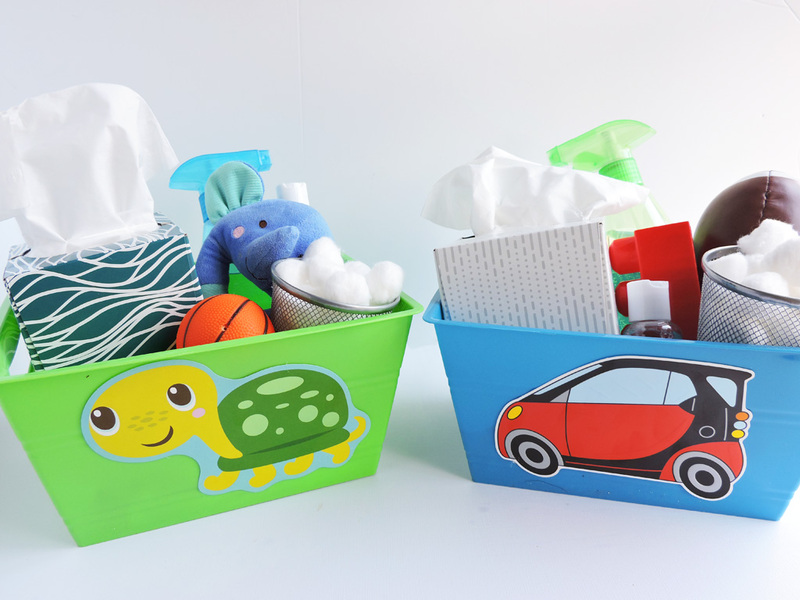 I made 2 caddies; one for each of my boys and included a few of their favorite toys in it as well! They knew exactly which caddy belonged to them and they took great pride in making sure that it remained stocked! I keep these caddies in the trunk of my car, which comes in handy when we’re out running errands! At home, my kids know exactly where to find their own special box lol! 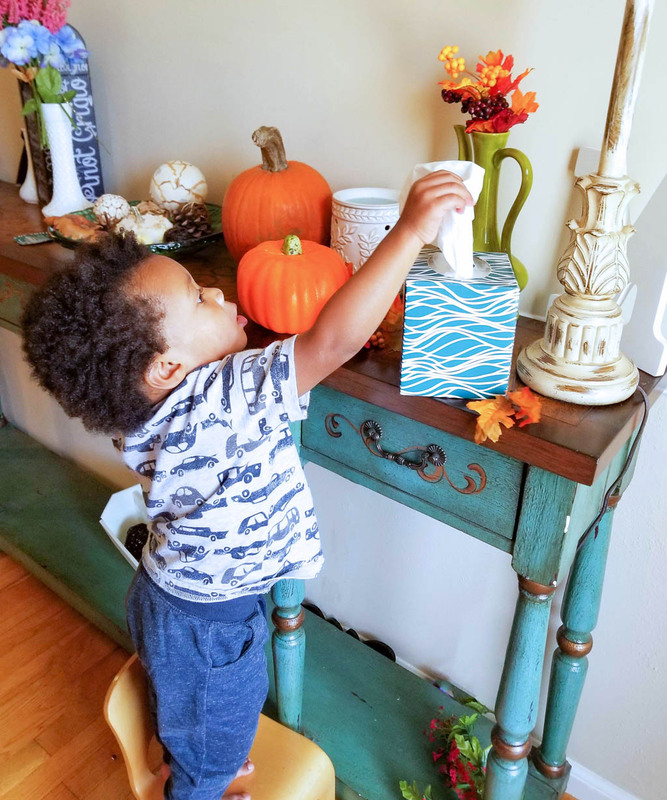 My 2-year-old will grab his little chair and get a few tissues to “blow his nose,” which is just usually a loud whistling sound into a huge wad of tissue! Lol! My 4-year-old tries to “help” but somehow this leads to a mountain of tissues on the table and on the floor! Instead of getting upset, I just smile and cherish these little moments! 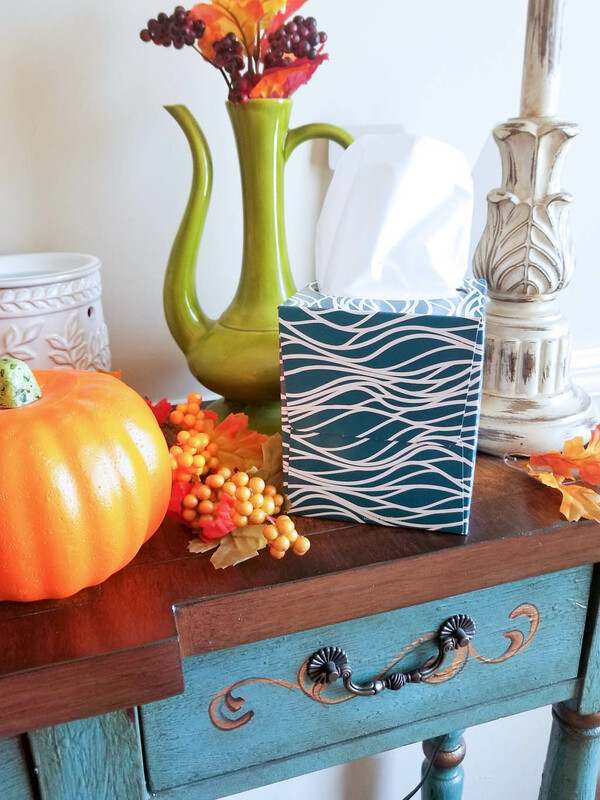 I’m just grateful that I have enough tissues to get us through this ‘sneezin season’ and to provide comfort when my little ones need it most!